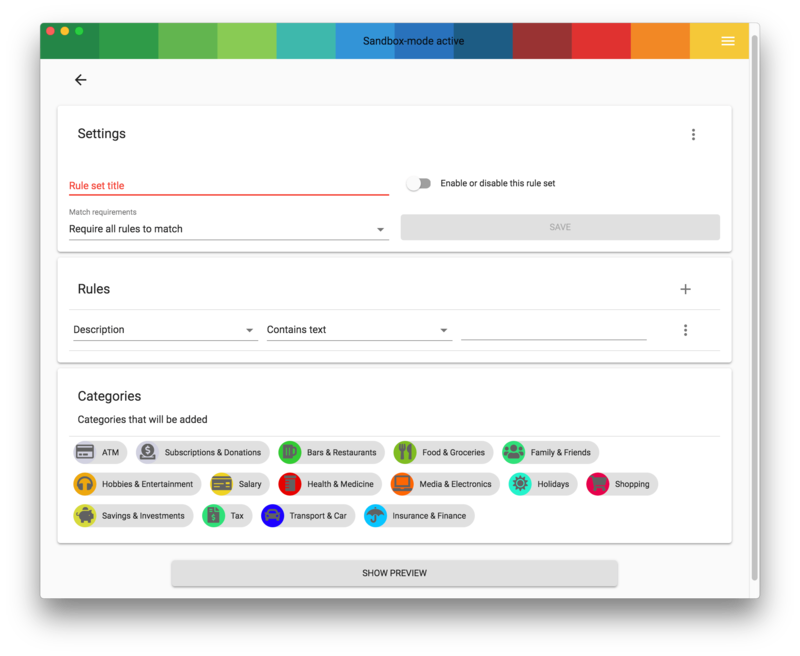 Rules are used to automatically add categories to payments. This will help you to get a clearer view on what you are spending your money on. You can add as many rules as you want. But remember that a rule can also have multiple triggers. It's advisable to just add more of them to one rule in order to keep a clean overview. You can then add one or more categories to the rule. 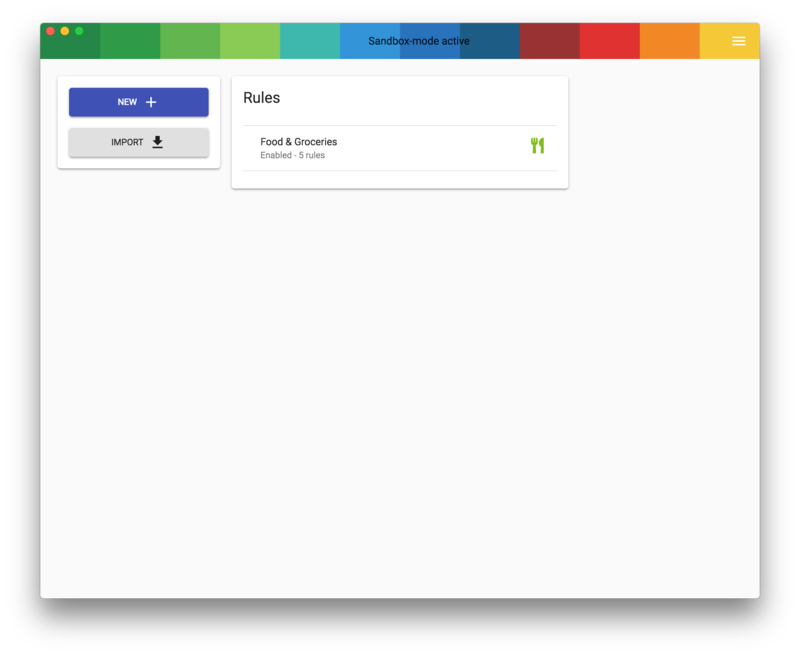 By using the show preview button you can see if your rule matches any payments in your account, this is a great way to test your rules and see if they work the way you want them to.